Adding pleasing aesthetic touches like colorful files or decorative labels is one of my favorite ways to motivate myself to maintain my organizational systems. That extra detail makes me want to keep things looking tidy and organized. To give you a little extra organizing stick-to-it-ive-ness (yep, I just made that word up 😉 ), I’m sharing these printable decorative file labels! 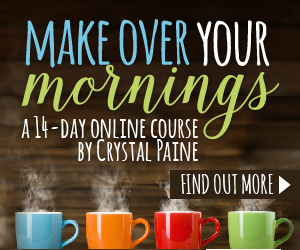 Today’s post is short and sweet and includes a FREEBIE for you, my friends! Adding extra aesthetic touches to my paper organizing not only makes it pleasing to the eye, it also helps to motivate me to maintain those beautiful and organized files. Here’s a set of printable decorative file labels that you can use in your home office! This post contains affiliate links for your convenience. Click here to read my full disclosure policy. As always, my favorable opinions of affordable office organizing supplies are 100% my own. I only recommend products that I use and love! I printed these labels on Avery 8167 Return Address Labels. You could also use Sticker Project Paper, then cut the labels out with scissors or a paper trimmer. Once I print these, I grab my markers or my Brother P-Touch Label Maker and add my categories or label titles! Snag your copy of these printable decorative file labels HERE! In your planner or bullet journal. On dividers in your favorite binder. To label the spines of your binders. As labels on the spines of your planners, journals, or bullet journals. There’s no limit to the uses for these decorative file labels! Decorative file labels add visual interest to organizing projects and just might help you feel more motivated to maintain your organization, because it just looks SO beautiful! 😉 And I love the fun pops of color the labels bring to paper organizing projects! Don’t forget to pin this post, so you have quick access to these printable decorative labels when you need them! And for more FREE and helpful organizing printables, check out our Printables Gallery! 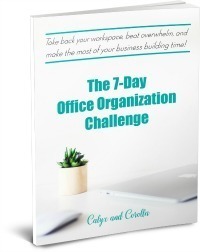 Thanks for learning more about home office organizing with me!